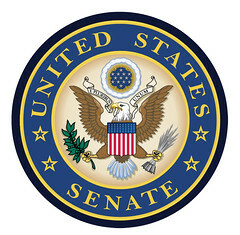 The US Senate requires reform; it does not represent the people of the US. I would prefer to reform the Senate by increasing the number of Senators so that half of them represent their states’ populations, but that would require a Constitutional amendment. We may be required to use the nuclear option, which is the elimination of the filibuster. However, there is another method of reform which retains the filibuster and does not require a Constitutional amendment, changing state boundaries. The western interior of the US is overrepresented in the Senate, at least in the number of Senators representing very small populations. If we merged five pairs of two small states into one larger state, that would reduce the number of Senators from 100 to 90 and reduce votes needed for cloture from 60 to 54. Merging 10 states into 5 would have a small effect on the House of Representatives, but a much greater impact on the Senate. The same effect approximately could be achieved by splitting California into 5 or more states. Either option or a combination of both is possible under the Constitution as written, no amendment required.